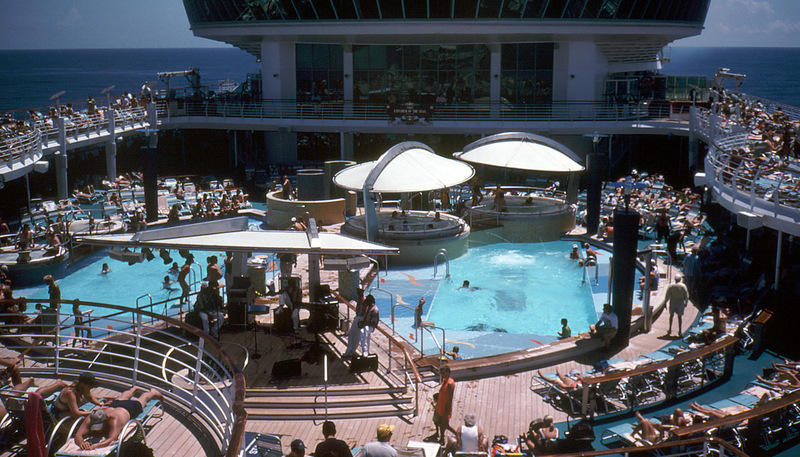 Did food aboard your cruise ship blow you away? Don’t be surprised. It was probably prepared by some of the best chefs in the world, especially if you went to a dinner at the speciality restaurant. If you would like to surprise your family with a dish everyone enjoyed on the cruise and at the same time, bring back the memories of your journey, you’ll be pleased to hear that you can get recipes for most of the dishes served on-board. The easiest way to get recipes for specialities served aboard your cruise ship is to sign up for cooking classes. These are available on many cruise ships including those targeting families and are a part of the on-board activities. Participants of on-board cooking classes usually aren’t charged extra but there may be a fee for hand-on classes. But it is also true that the easiest way to learn is to try it yourself. Hands-on cooking classes are thus worth every penny. Official website of your cruise line. You don’t usually find things such as recipes on cruise lines’ official websites but some provide a great deal of information about all sorts of things related to their ships and services on-board. And among the many things are sometimes also recipes of the passengers’ favourite dishes. So it’s worth to give it a try. Look up for the chef online. Many of the world’s best chefs have their own websites or blogs in which they share their recipes and little cooking secrets. If you can’t find a recipe for the dish you are looking for, contact the chef and ask them kindly for the recipe. They are highly unlikely to reject you. “Google it up”. Believe it or not but there are several websites that are dedicated to cruise recipes, providing step-by-step instructions how to make salads, seafood dishes, meat dishes, desserts, … that are served on-board the most popular cruise ships. So if you couldn’t get the recipe using the above mentioned methods, look it up in your search engine.